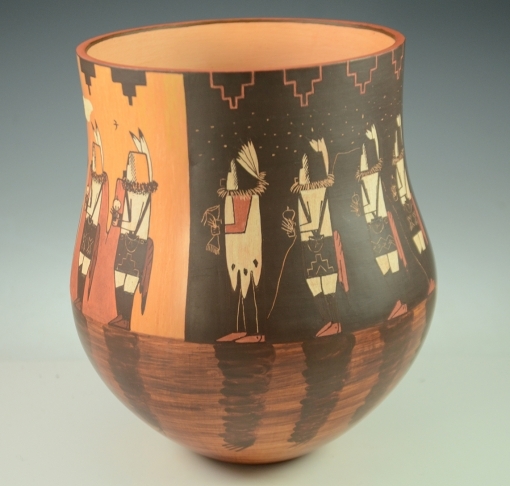 Stunning traditionally hand coiled and painted Hopi Pottery with Navajo Yei figures by Artist, Ida Sahmie. 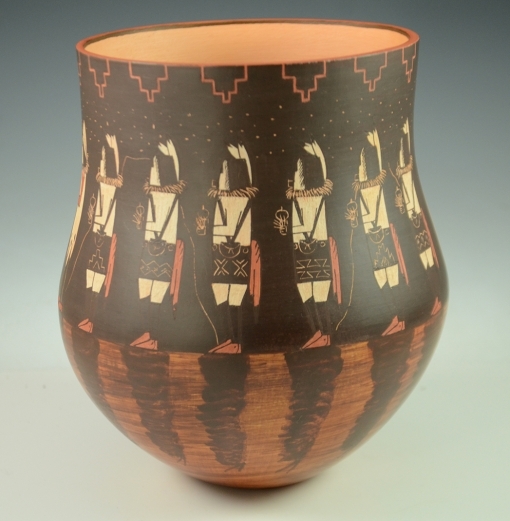 Ida is a very talented Navajo potter who married a Hopi man and learned the art of Hopi pottery making from her mother in law, Priscilla Namingha. This pot measure 7″ high by 6″ wide. 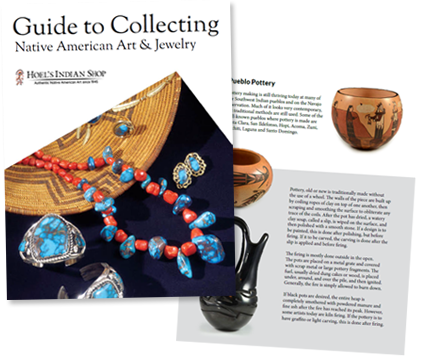 It is hand painted using natural vegetable and clay paints with Navajo Yei Night Chant and Yei Day Chant designs. 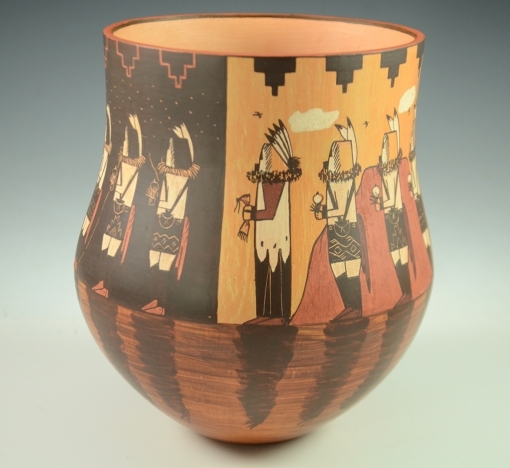 Pottery Seed Pot by Hummingbird Design Handmade by Navajo Potter, Wallace Nez.